Video editing on Linux can work — I’ve seen some terrific stuff. The trick is figuring out the proper configuration. 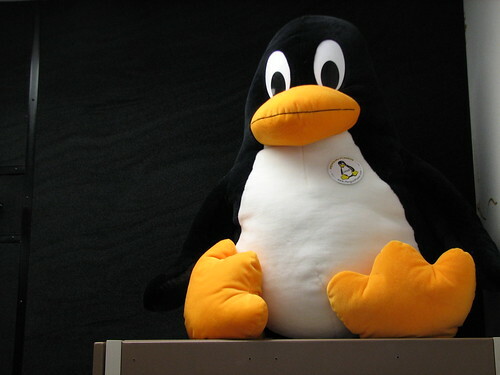 Before you say, “ah, yes, you’ve just terrified me into never touching Linux again” — this post isn’t for you. For you, the idea is for us to research some of the optimal configurations and then share the knowledge so you can get video editing on a laptop with little or no pain. So, forget you read this. Move along. Seriously, go do something else; pick up your camcorder and find something pretty to shoot or try cheesecloth over the lens or something. Okay, is that person gone? Good. Still here? Let’s talk. I’ve just finished a semi-frustrating day of evaluating some different video editors on Linux. My latest install is Fedora, which has the advantage of having akmod support, which in short makes combining real-time kernels (or any kernel changes) and proprietary graphics drivers dead-easy. It’s fantastic. My test system: Fedora 12, with an (optional boot) real-time driver, NI Audio Kontrol 1 audio interface and onboard audio, NVIDIA 9500M, all on an Asus laptop. So far, progress is, frankly, slow. Blender is brilliant, thanks to its ability to create low-resolution proxies. The problem: its interface is still painfully odd, and I’m having endless troubles with the audio back-end. The moment I unmute audio playback — even ensuring ALSA is the default engine — the video rendering bogs down, dropping frames and even playing back sound and image at erratic speeds. I need to try building Blender from scratch, but that’s going to take more time. Why am I not using Fedora’s packages? Because there aren’t any: Fedora won’t bundle ffmpeg due to licensing issues. I have high hopes for OpenShot and PiTiVi, and each has allowed me to do super-fast quick edits and uploads. But their interfaces need a lot of work for bigger projects, and they even refused to load larger files. Don’t underestimate this pair: PiTiVi in particular is blazing fast and an ideal open, slice, export tool. It’s just for now they’re limited to quick edits. kdenlive looks terrific. It has lovely support for things like screencasting, robust library support, and a mature interface (finally) with the time-saving functions you’d come to expect. It’s also, however, bogging down on performance, which suggests to me that it’s actually the way my audio system is configured that’s screwing up both kdenlive and Blender. Removing the pulseaudio plug-ins has not helped so far. Oh yeah — and there’s the fact that kdenlive looks like utter grap under GNOME. OpenMovieEditor also looks promising, but I had some build dependency issues and, while it’s well supported on Ubuntu/Debian, there’s no Fedora package. I’ll return to working it out (like, why its configuration thinks I don’t have libdrm when I do) and report back. Major extra points to the command-line fffmpeg, which is hands down the easiest way to convert… well, any media whatsoever. Hold on, there; not so fast. In fact, a lot of the problems here are familiar from proprietary (and pricey) software. There’s the fact that I have to move around plug-ins to keep Premiere from trying to load them and promptly crash. There’s the vaunted Final Cut Pro, which likes to transcode everything into a handful of its favorite formats because it doesn’t have something like the versatile GStreamer engine that will play anything you want. (That’s not a dig at Apple, either; you can thank the obscurities of patent law, for one.) There’s countless performance problems with such-and-such a resolution or codec on [insert your software here]. I’ve seen broken software, bugs, crashing installers, apps that refuse to start… and that’s stuff you pay for. So, I’m going to assume this is not entirely wasted time. And I’m not done yet. What I’m curious to know is, for those readers with more experience than me, how familiar does all of this sound? Any tips of your own for making this stuff work? And yes, my ultimate goal: let’s live in a world where video editing doesn’t leave you with a pit in your stomach. Yipes.